Wild mushrooms: What to eat, what to avoid – Proper identification can mean the difference between life and death. Mushroom collecting is one of the most widespread activities in a movement to discover local sources for food that is growing in popularity nationwide. For people who enjoy foraging for food in the wild, there are plenty of mushrooms to choose from — several thousand fleshy species in North America. Of these many different kinds of mushrooms, almost all are “edible” but too fibrous or insignificant to consume. That still leaves a considerable portion of mushrooms as consumable and either “fair, good, or choice.” While the numbers vary and are debatable, only about 250 are considered significantly poisonous. While those numbers put the odds of picking an edible rather than a nonedible mushroom heavily in the favor of foragers, experienced mushroom growers are quick to point out that foraging for mushrooms should never be thought of as a game of chance. “Don’t guess,” advises Tradd Cotter, who has been cultivating mushrooms for more than 20 years and recently located a fungi research lab and growing operation on his Mushroom Mountain woodland in Liberty, South Carolina. The consequences of making a wrong guess or a misidentification about whether a mushroom is edible can be severe, sometimes requiring a liver transplant or even resulting in death. 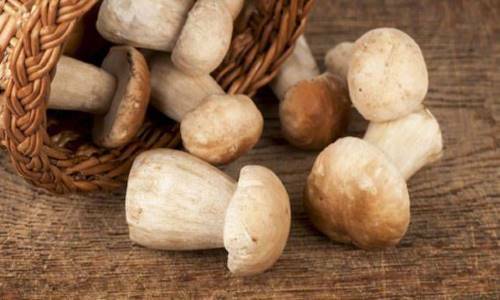 There were 6,429 cases of people eating poisonous mushrooms and two deaths from toxic mushrooms in 2011, the last year for which data is available, according to the American Association of Poison Control Centers in Alexandria, Virginia. One of the dangers of collecting mushrooms in the wild, Cotter said, is that of toxic look-alikes — poisonous mushrooms that resemble edible ones. He pointed to the green-spored parasol (Chlorophyllum molybdites, at right) as a classic example. “This is the most commonly consumed poisonous mushroom in North America,” he said. 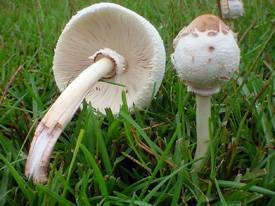 “When it’s young, it looks like the white button mushroom seen in grocery store produce sections.” It can also be confused with the edible shaggy parasol. The green-spored parasol is widely spread in lawns across eastern North America and California, generally appearing after rains in the summer and fall. Cotter thinks that one of the problems with mistaking edible for non-edible mushrooms is the beginner’s symptom of “knowing just enough to be dangerous.” Morels and false morels are a case in point, he said, pointing out that looks can be deceiving. Social media sites are a particular problem, he added. When searching for mushrooms online, Cotter suggested that foragers stick to high-quality and referenced sites. When searching for mushrooms in the wild, he said inexperienced foragers should search for mushrooms alongside an experienced and trusted mycologist whenever possible. Another problem that is a relatively new phenomenon has occurred in California with immigrants who mistakenly harvest poisonous North American mushrooms thinking they are the same ones as edible mushrooms in their home countries. “Immigrants from Asia and Indonesia,” Cotter pointed out, “sometimes confuse the edible paddy straw mushroom (Volvariella volvacea, at right) native to their homeland with the death cap mushroom (Amanita phalloides).” The genus Amanita is one of the most toxic mushroom genera in the world. Join a local mycological (fungi) group. They are located all over the United States. A list is available at the North American Mycological Association. Buy a regional field guide to learn what mushrooms grow wild near you. Seek to identify at least the genus of the mushroom you have found (identification keys include the stem, a spore print, what the mushroom is growing on and the structure of the stem base, which could be below ground). Take two collecting baskets when foraging. Put mushrooms positively identified as edible in one. Put mushrooms you are uncertain about in the other. You won’t get sick by simply touching a toxic mushroom, he said. Be extremely careful if you are a pet owner and want to take your dog on a foraging trip. Dogs lead the list as victims of deadly and poisonous mushrooms — more than any other animal or humans, Cotter said. Here is an overview of a few edible and nonedible North American mushrooms. 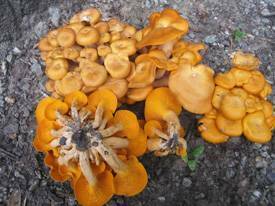 The gold-yellowish or brilliant orange color of chanterelles makes them easy to spot during a walk in the woods. Morels are better known, but chefs tend to prize chanterelles more because of their unique peppery, peachy, apricot flavor and because they are found only in the wild. Where they grow: On the East and West coasts. At maturity, East Coast chanterelles tend to be smaller (about the size of a fist) than those on the West Coast, which can weigh up to two pounds. When to forage: Most of the summer and into the fall on the East Coast. From September to February on the West Coast. A tip from Cotter: On the West Coast, look for chanterelles around conifers. On the East Coast, they prefer hardwoods, especially favoring oak species. 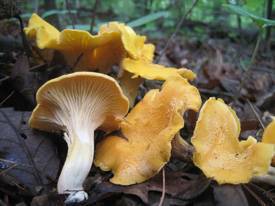 Habitat: Chanterelles tend to grow in small clusters among hardwoods, conifers, shrubs and bushes. They are also often found in leaf litter of mountainous forests and among grasses and mosses. Culinary use: These meaty mushrooms have a magical appeal for chefs and home cooks alike. Slice them into generous-sized pieces to retain as much of the flavor as possible. Saute them in butter, cream, oil or chicken broth. Their distinctive flavor stands up well in soups and stews, and with main courses such as scallops, chicken, pork or veal. The jack-o’-lantern mushroom is a common mushroom and has two forms in the United States. East of the Rocky Mountains, Omphalotus illudens is a bright orange. West of the Rockies, Omphalotus olivascens grows in southern to central California, where it has olive shades mixed with orange. Jack-o’-lanterns can be found in urban settings in large clusters at the base of trees, on stumps or on buried wood. How to tell them from a chanterelle: There are two primary differences between chanterelles and jack-o’-lanterns. The jack-o’-lantern has true, sharp, non-forking gills that descend the stalk, whereas chanterelles have blunt, gill-like ridges on the cap to the stem. When the stem of a jack-o’-lantern is peeled, the inside is orange. In chanterelles, the interior of the stem is paler than the exterior. Symptoms: Symptoms from eating a jack-o’-lantern appear within 30 minutes after consumption and usually abate within 24 hours. Symptoms include: excessive secretion of tears, perspiration and salivation, difficulty breathing, a drop in blood pressure, an irregular heartbeat, nausea, vomiting, cramps and diarrhea. Morels are considered a gourmet’s delight and one of America’s most popular and highly regarded mushrooms. They range in color from cream to almost black, and their honeycomb pattern makes them easy to spot. Where they grow: Morels grow in almost every state. Exceptions are Florida, which is too hot, and Arizona, which is too arid. When to forage: Early spring before the trees leaf out. That’s February on the Pacific coast, March to mid-April in the South, and May in the Northeast. Peak season is April-May. A tip from Cotter: Carry a cooking thermometer to measure the ground temperature. Morels fruit only when the ground temperature is 50 to 58 degrees. 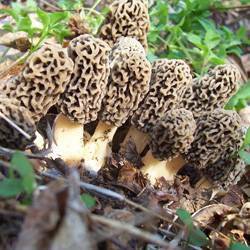 Habitat: Morels associate with moist areas and specific tree types: Ash, tulip, oak, hickory, sycamore, cottonwood, maple, beech, conifers and apples. Cotter urges caution if foraging in apple orchards, because morels are excellent at absorbing pesticide residue, which can remain in the soil for long periods. Culinary use: Morels have a unique smoky, earthy, nutty flavor that is prized by cooks worldwide. The darker the color, the stronger the flavor. A popular way to cook them is to simply saute then in butter with salt and cracked pepper. Wash thoroughly, but be aware that because of their honeycomb structure, they may retain some bits of soil that can’t be washed out. 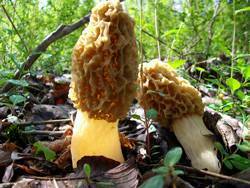 There are approximately a dozen species of false morels that grow in the United States. False morels fruit in the spring at the same time as morels as well as in the summer and fall. How to tell them from a true morel: Though people sometimes confuse the two, they are actually quite different. The caps of false morels have a wrinkled, brain-like or saddle shaped structure rather than a honeycomb look. Also, when sliced down the middle lengthwise from the top, morels have hollow interiors, whereas false morels have a cotton-ball looking substance inside their stems. Symptoms: False morels are toxic to the liver. Onset of illness usually occurs six to 48 hours after consumption. Symptoms include nausea, vomiting, abdominal pain, diarrhea, dizziness, headache, muscle cramps, bloating and fatigue. Mushrooms in the genera Amanita are among the deadliest in the world. Here are some ways to recognize two of these. 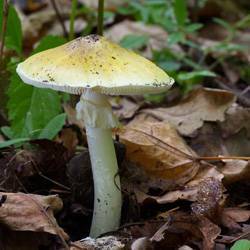 Death caps: This highly toxic mushroom (Amanita phalloides) is blamed for the most mushroom poisonings in the world. 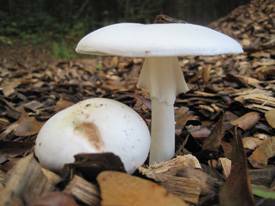 While native to Europe, death caps occur on the U.S. East and West Coasts. Description: Death caps have a 6-inch-wide cap, often sticky to the touch, that can be yellowish, brownish, whitish or greenish in color. 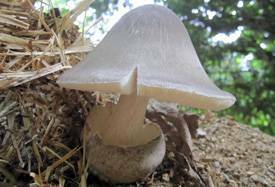 The cap has white gills and grows on a stalk about 5 inches tall with a white cup at its base. Can be confused with: Young death caps can resemble puffballs, which encompass the genera Calvatia, Calbovista and Lycoperdon. When seen: September to November. Habitat: Under pines, oaks, dogwoods and other trees. Symptoms: None immediately. Then the person will experience vomiting, diarrhea and cramps. After several days, these symptoms will go away and the person will think they are OK. However, they are not. During this time, internal organs are being severely damaged, sometimes irreparably. Death can occur six to 18 days after ingestion. Destroying angels: Destroying angels get their name from their pure white stalks and caps. Like the death caps, they belong to the genus Amanita, with several species occurring in different regions of the country. 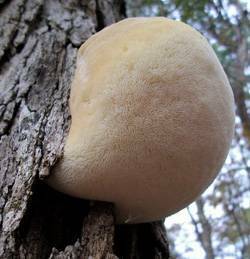 All, however, have a similar white fruiting body. Description: An attractive white cap, stalk and gills. Can be confused with: In their button stage, destroying angels can be confused with button mushrooms, meadow mushrooms, horse mushrooms and puffballs. When seen: Summer and fall. Habitat: All Amanita species form relationships with roots of certain trees. Destroying angels can be found in or near woodlands or near shrubs and trees in suburban lawns or meadows. Symptoms: Diarrhea, nausea and abdominal pain generally occur five to 12 hours after ingestion. As with death caps, the symptoms will typically go away and the victim might think they don’t need to see a doctor. However, a day or two later the symptoms will return and get worse. By then, it will probably be too late because the person will likely suffer liver and kidney failure and enter a hepatic coma that ends in death. If they survive, treatment is severe: a liver transplant. A thumbnail look at three other edible mushrooms popular with foragers. Lion’s mane mushrooms: Also known as the bearded tooth, hedgehog or pom pom mushroom, the distinctive Hericium erinaceus can be found growing on hardwood trees in late summer and fall. Its distinctive shape, which resembles the mane of a male lion or a pom pom, is unlike any other mushroom. Its taste is also unique and often compared to seafood. How to recognize it: Beech trees are frequent hosts. Another identifying characteristic is that it tends to grow its spines from one group rather than from branches. It can also grow very high in the trees, as much as 40 feet up the trunk. 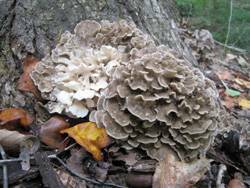 Maitake mushrooms: Also known as hen of the woods, ram’s or sheep’s head, maitake mushrooms (Grifola frondosa) grow at the base of hardwood trees such as oaks. It is prolific in the Northeast but has been found as far west as Idaho. Because they can grow quite large and become too tough to eat, they should be harvested when they are young. Older specimens can be dried, powdered and used for soups and sauces, also for a unique breading adjunct. 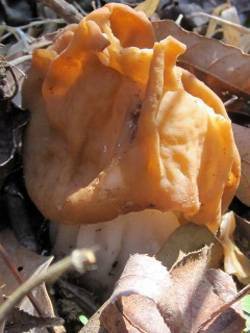 How to recognize it: Maitakes have small, overlapping tongue or fan-shaped caps. 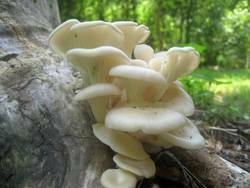 Oyster mushrooms: Oyster mushrooms (Pleurotus ostreatus) belong to a genus of some of the most commonly eaten mushrooms. They can be found in every season of the year, but are most prolific in cooler weather. Be sure to clean carefully to remove any insects that may be hiding in the gills and discard the stems, which tend to be woody. How to recognize it: Look for their scalloped caps on dying hardwood trees such as oaks, maples and dogwoods, especially after the first rains of the fall. The caps are a whitish-gray, sometimes tan. Cultivated varieties found in grocery stores may have blue, yellow or pink caps.